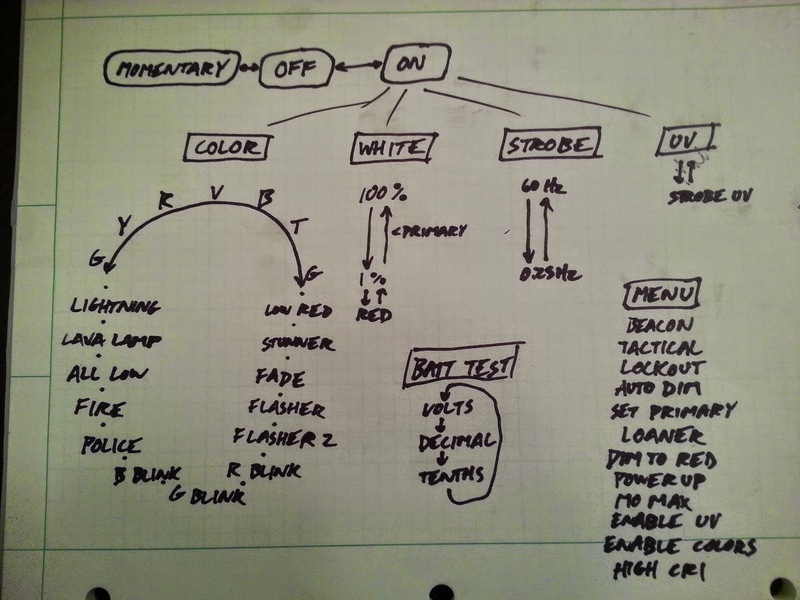 Here's a video demonstrating version 2.9 of my MELD flashlight software. A lot of improvements and features were added since the last video I put up. Below is a complete description of the UI and features. § When activated, the next time the light is turned off, it will be locked out. The light can then only be turned on by triple-clicking the switch. § If activated, any time the light is turned on in white at a power level above 66% current, the output will gradually reduce output until it reaches 66% over the course of 10 seconds. This helps save power and is usually not noticeable to the user. The beam not good for color. The transmittance of LED outside metric for cone observance. I want to follow up on your UAV project, regarding the optical sensor. I need to track displacement by non-contact means in an industrial application. I had the "mouse" idea, but need to be further from the surface (say 50mm). You have given me hope that this might be able to work further off the surface than a typical mouse.